Mazzareli is a beautifully designed WordPress theme for your cafe or restaurant. 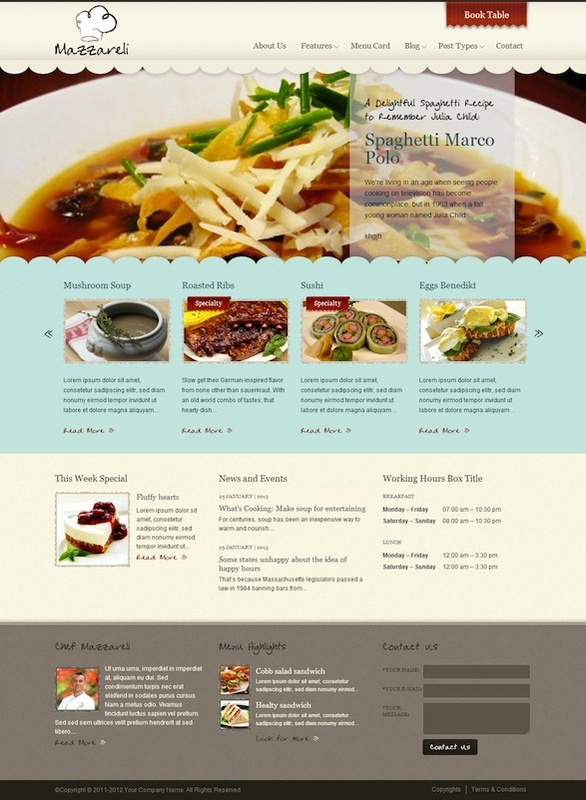 It is well organized looking theme for your culinary business, foodies, recipes, etc. Use this theme to quickly create a great presence for your culinary business.